She is reserved for Laura. Thank you! You just missed out this time! But if you want a similar dog to Lepke, we can still find your dream puppy, just click the button below. Bright, beautiful Lepke is going to bring so much happiness to her home. She is such a character, playful, outgoing and happy, and is the funniest pup of the litter. The delightful little Dachshund is the only breed that I raise in my home, and all my pups are very well socialized while with me. 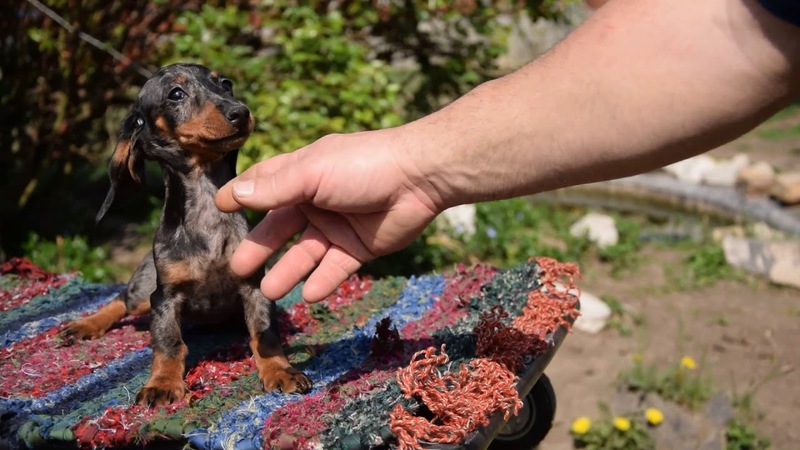 This pup comes from strong bloodlines, and the sire is a show winning Dachshund and a Junior Champion too. There are show winners through every generation of the pedigree too.